Joaquin Phoenix Reunites With Reese Witherspoon in "Inherent Vice" -- See The Trailer! From "Walk the Line" to their new movie "Inherent Vice," we love seeing Joaquin Phoenix and Reese Witherspoon on the big screen together! "Inherent Vice" is the latest feature from award-winning writer/directer/producer Paul Thomas Anderson, who's brought us movies like "There Will Be Blood," "The Master," "Boogie Nights" and "Magnolia." 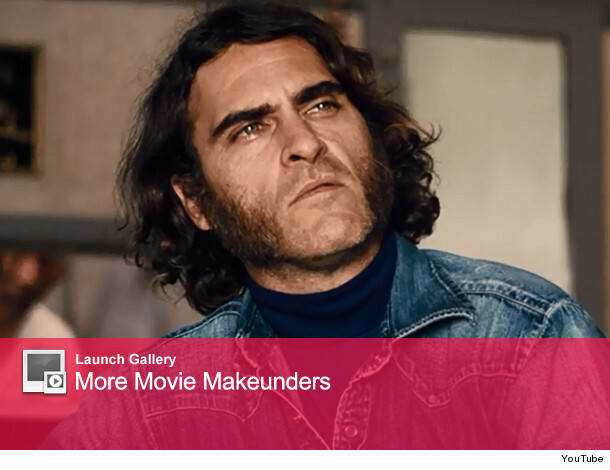 Check out the first trailer for "Inherent Vice" above! According to IMDb, the indie-drama takes place in the 1970s and follows a Los Angeles-based drug addict detective (Phoenix) as he investigates the disappearance of one of his exes. The flick boasts a star-studded cast, too. Witherspoon, Owen Wilson, Benicio Del Toro, Maya Rudolph, Josh Brolin, Jena Malone and Eric Roberts also appear in the crime movie. Are you excited to see Joaquin and Reese together again? Tell toofab in the comment section below and check out even more movie makeunders in the gallery! Reese Witherspoon Talks Risque Roles: "I'm A Complex Human Being"
Viral Video: Joaquin Phoenix's Forehead Makes One Super Cute Alien!